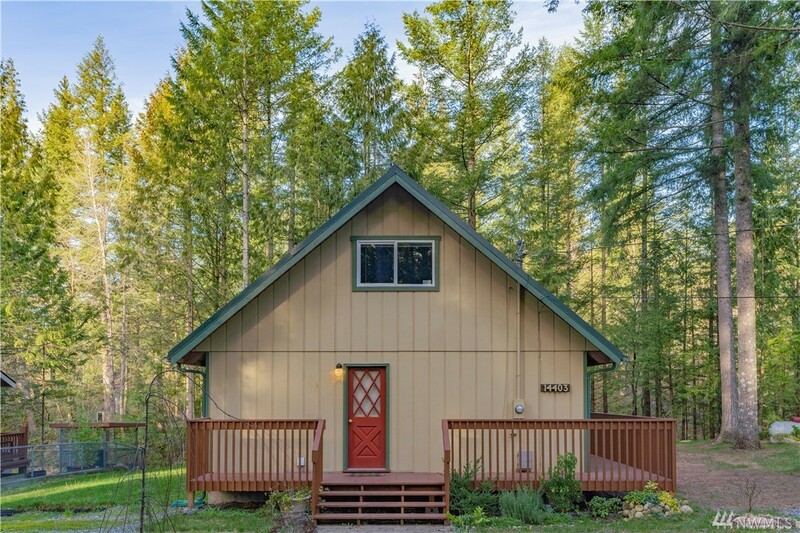 Gorgeous A-frame cabin situated on a Â¼ acre lot with 79 ft of Snoqualmie River frontage. Steps away from hiking trails, but also minutes from I-90. Open concept floorplan w/vaulted ceilings and lots of natural sunlight. Upper level master suite w/river views & generous-sized main floor bedroom. French drs lead to the wraparound deck â perfect for summer BBQâs & peaceful nights listening to the river. New wood stove provides plenty of heat and romantic ambience. Covered carport and storage shed.